You’re inclined towards researching new approaches to solving old problems. With the Aquarius Moon in friendly trine to expansive Jupiter, exploring a variety of options seems like a fruitful adventure. If the solution appears to be a new piece of equipment, see if you can hold off purchasing it for a little while. After all, messenger Mercury is still retrograde, which is not the best time to buy new technological items. It goes direct in a week, on November 26th. With Mercury in a tense alignment with powerful Pluto, you’re inclined to dig below the surface in your communications. The Sun is at 27 degrees Scorpio, the Moon is in Aquarius, Mercury is in Scorpio, Venus is in Libra and Mars is in Capricorn. 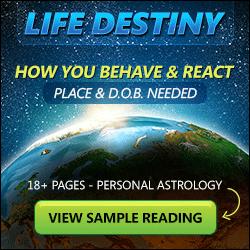 With this combination of planetary energies try to: Show you’re just as assertive in the bedroom as in the boardroom. Try not to: Be afraid to trust your friends. These people are family. Mercury, Jupiter, Uranus are retrograde. And finally happy birthday to Meg Ryan, Jodie Foster and Ted Turner.